Hello there! 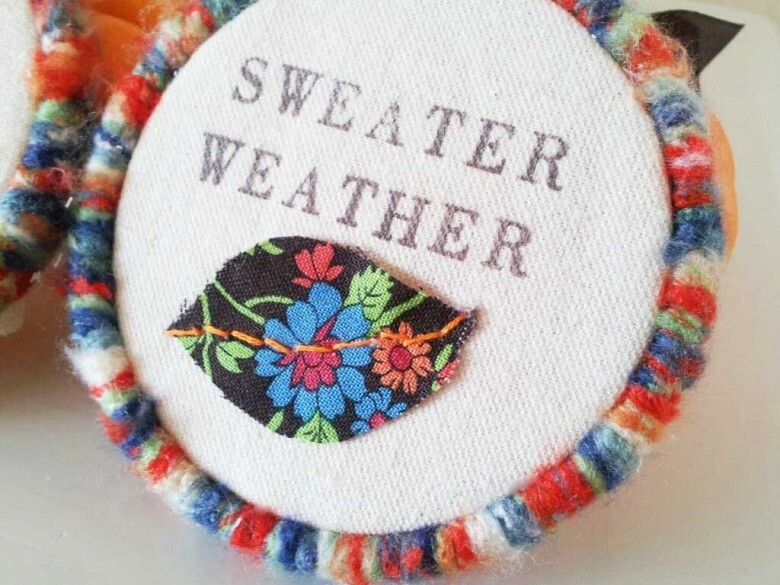 A few times a week, I take a break from jewelry making and do other creative things that usually involve paint, sewing or paper. I’ve had a tall stack of wooden embroidery hoops in my studio for a few years now and finally put them to use. 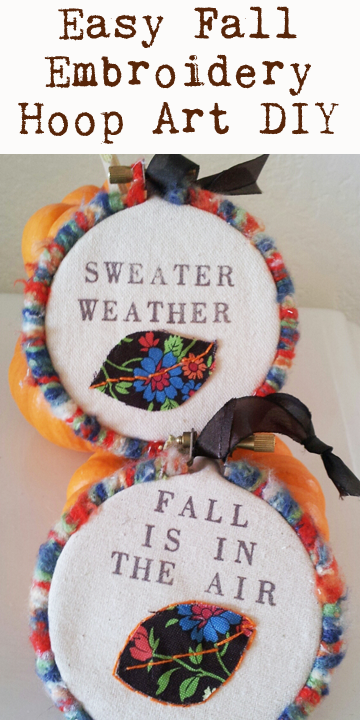 These sweet ornaments can be hung anywhere in your home or office (or leave off the ribbon and place them on a shelf). 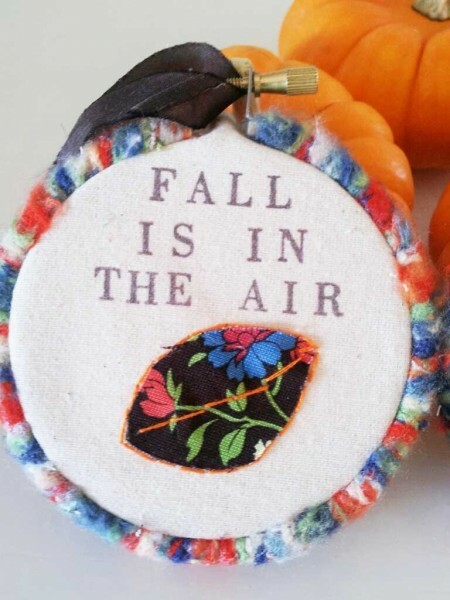 I plan to make some for Christmastime (replacing the leaves for red and white polka-dotted hearts stitched with gold or silver thread). Wouldn’t they be adorable tied to a gift as well? 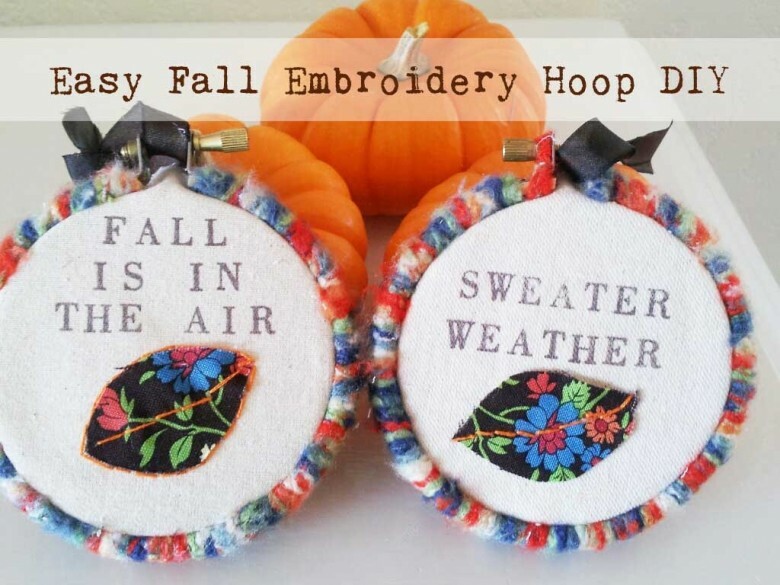 3″ embroidery hoops – 3″ is small. You can use bigger ones too – totally up to you! Chunky yarn – I used a bamboo yarn I found at a local hobby shop. If you have any questions about how to make these, just leave me a question via the comments section of this post or my Pinterest pin and I will be happy to answer! Happy Creating! Summer vacation has ended and that means I am back in my studio full-time. Hurray! 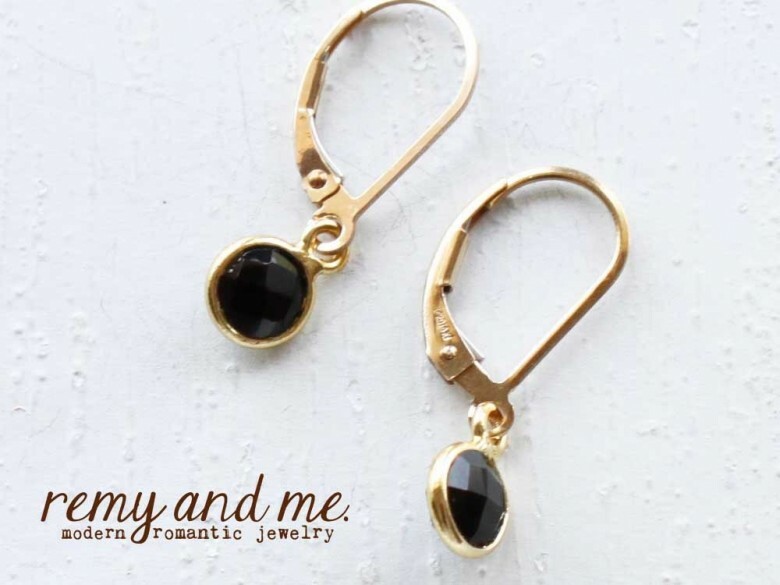 I just listed new styles of my popular leverback earrings and plan to add many more in the upcoming weeks. 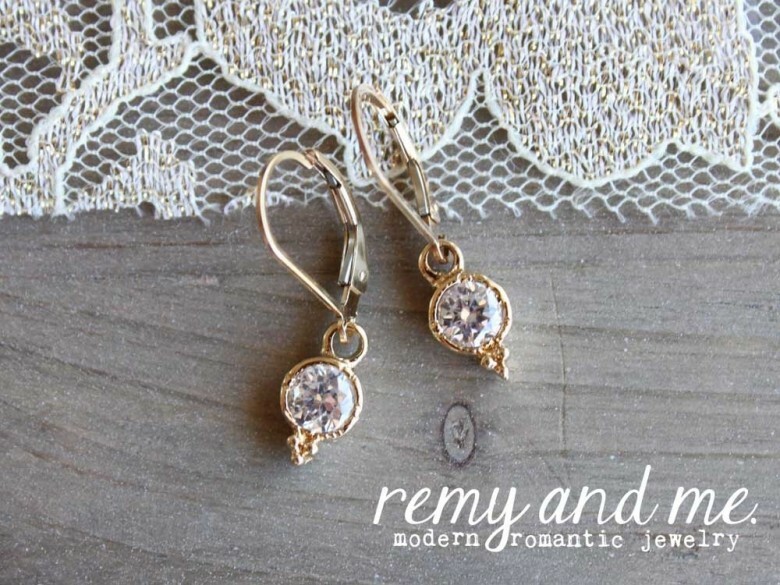 My love affair with this style of earring started when I lived in France (as a nanny after I graduated high school). I noticed leverbacks were a common style seen on European women and in the shops. Well, they were definitely on to something. Leverbacks are super-comfortable and secure. Remy and Me. styles are also very lightweight (another plus in my book). 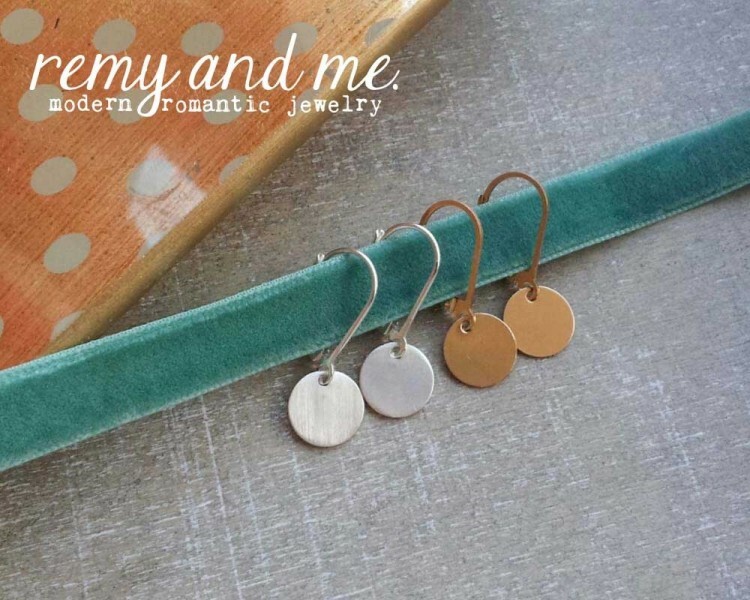 I design easy-to-wear, everyday styles that will become a staple in your jewelry box. They also make a great gift. I am surprised by how many American women haven’t worn this style but once they do, they are converts! As far as pronunciation … I say lee-verback although some women I know say leh-verback. Both are right; it’s just a preference. 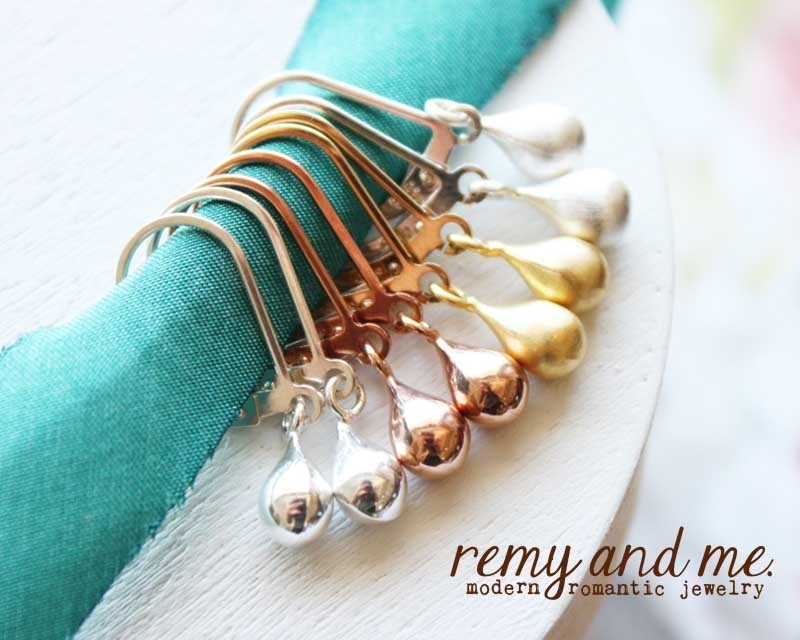 You can browse Remy and Me.’s collection by clicking here.